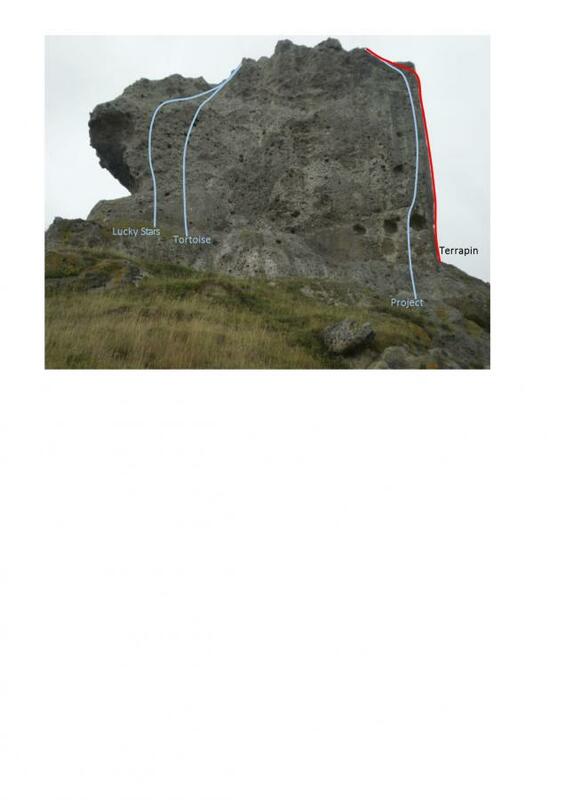 The big blade shaped pinnacle you walk past on the way to Flying Cow Buttress. Climb the long arête up the road side of Meteora Buttress. The crux is on the headwall then climb on to DBC belay on top. Climb the left hand side of the north face. Traverse right at the top to the DBC belay that is most convenient. 1-2m right of Lucky Stars. 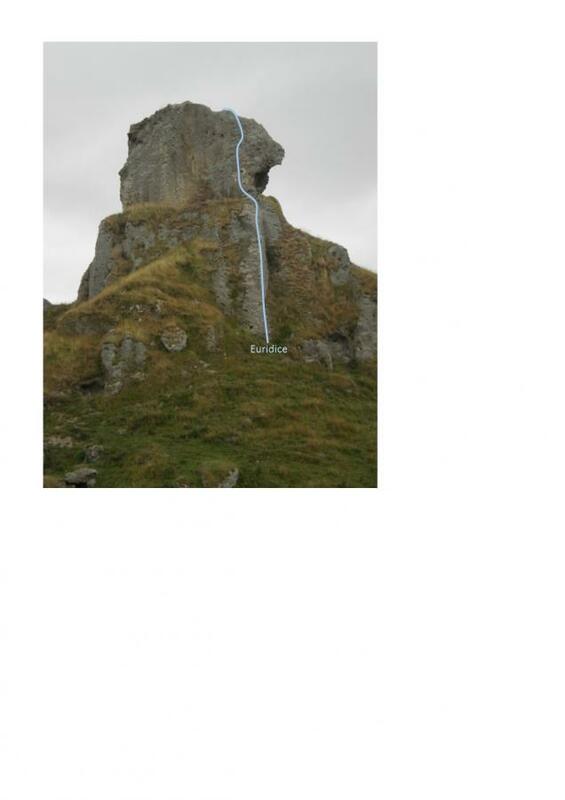 Originally climbed solo to access the top of the pinnacle. Climb the narrow west face of the buttress. Belay from a ledge with DBC. Climb up the centre of the face then move right at half height. Great pocket climbing in a fantastic situation. DBC belays on top. Rebolted in 2015 with stainless steel hangers. Climbs the left side of the arete left of Terrapin. Somewhat unstable rock lower down, to finish at Terrapin's anchors. Marked on the topo picture as "project", and apologies for stepping on anyones toes. Bolted and climbed 19/03/16.